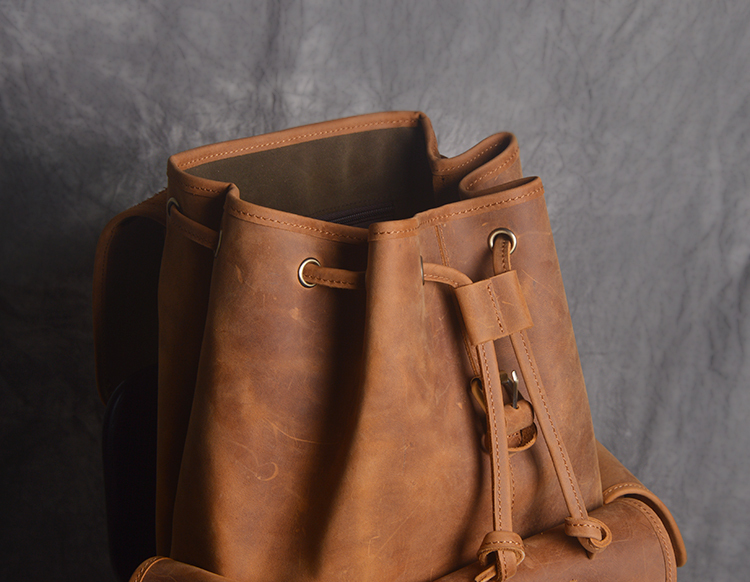 Openings: drawstring closure und Buckle. 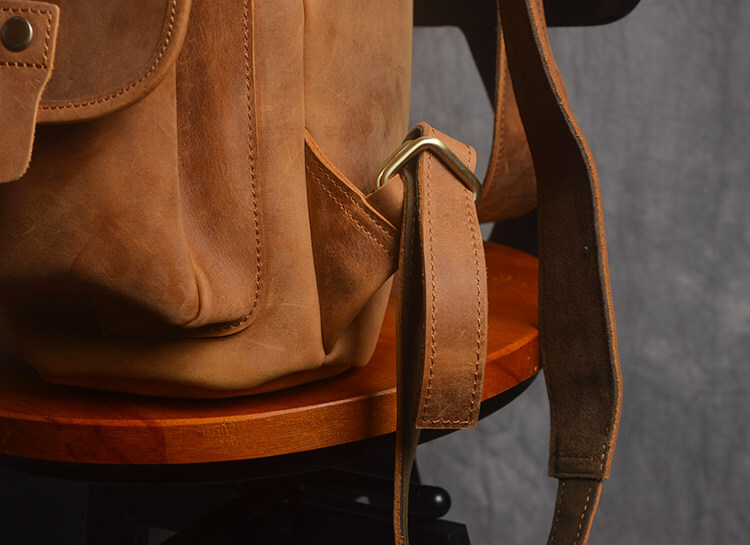 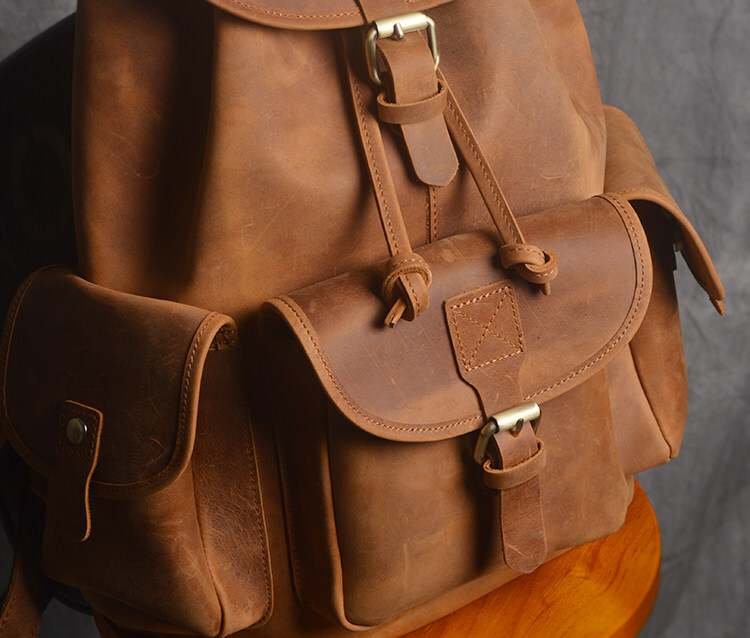 Material: 100% buffalo leather. 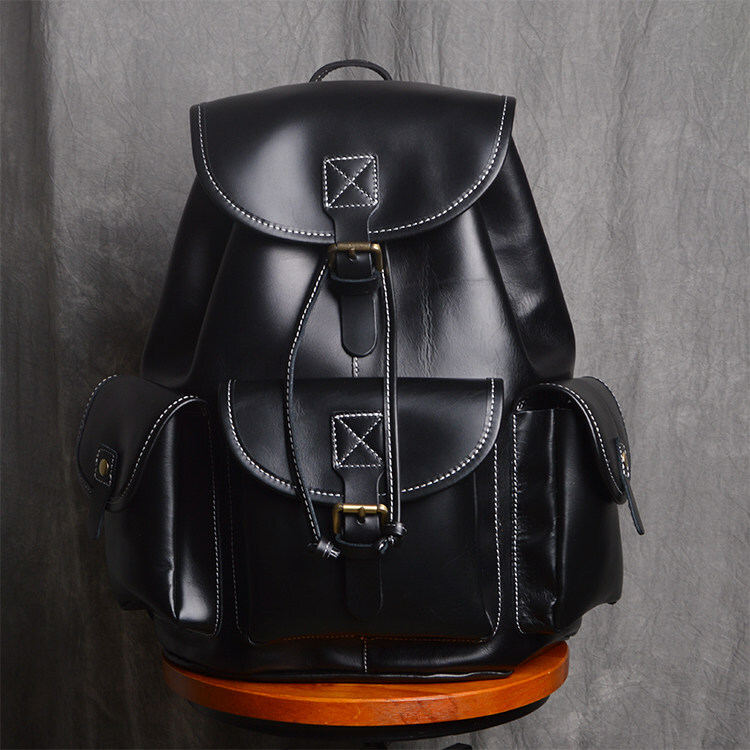 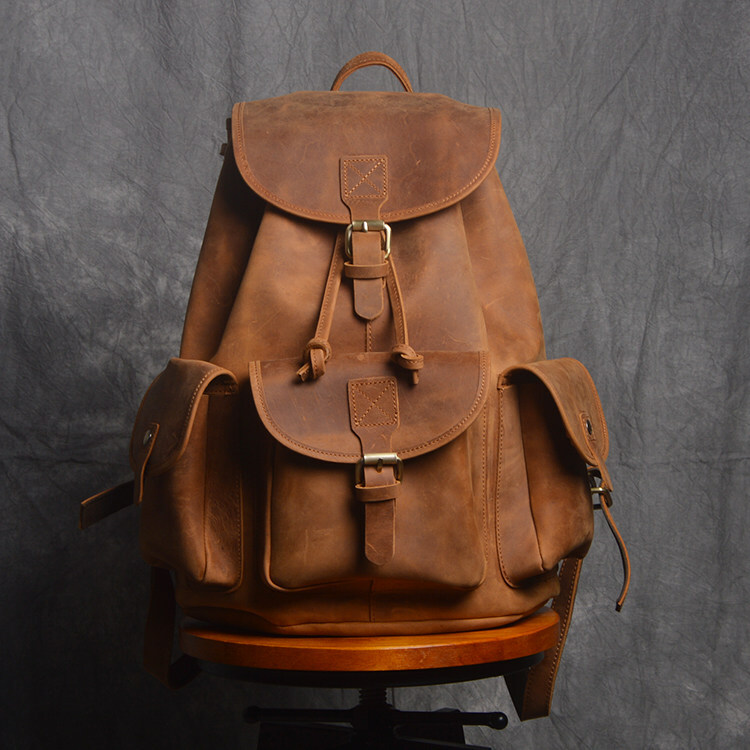 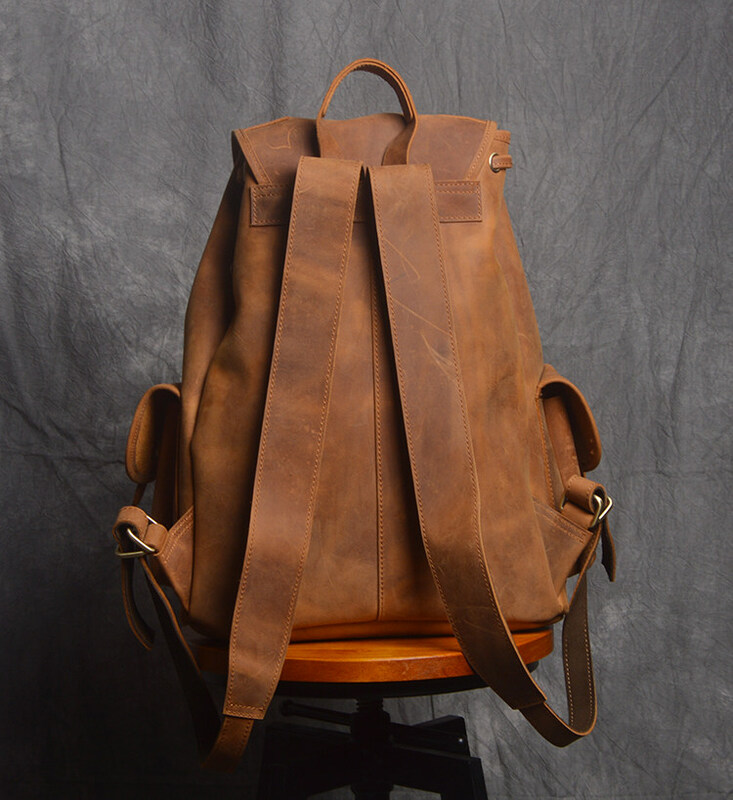 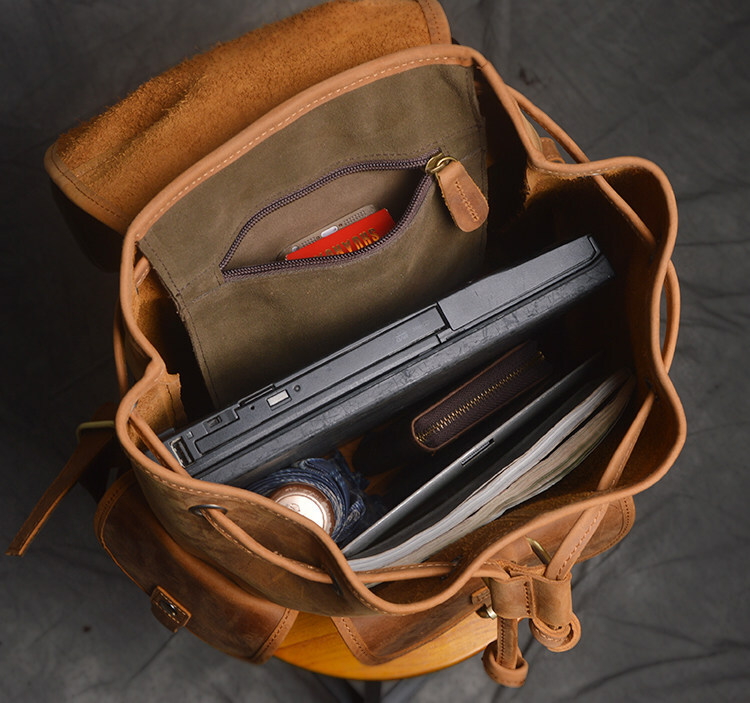 Noble in appearance and at the same time very practical: This big, superior quality backpack made of high quality leather.You are always well prepared, because in this padded backpack enough big to fits everything you need in. 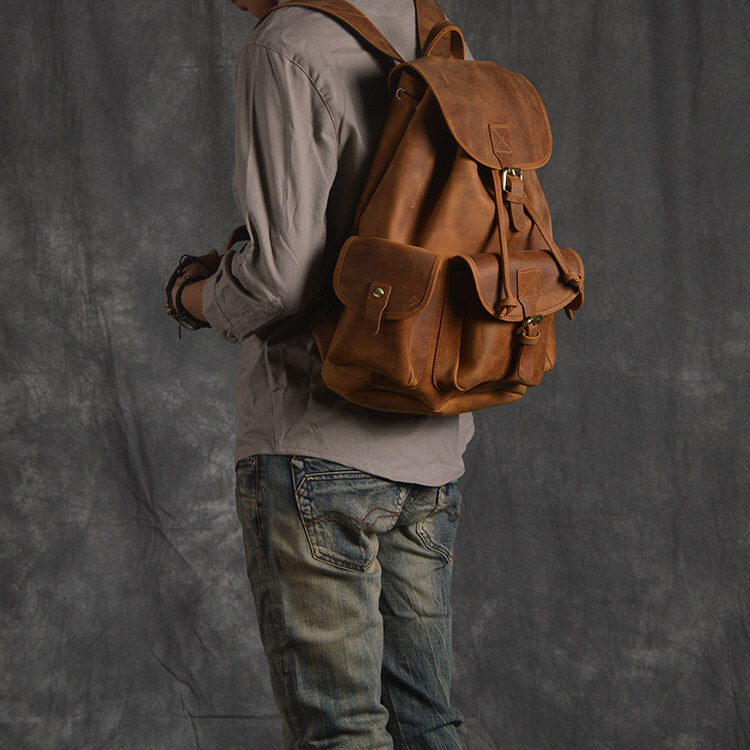 Everyone wants own it.! 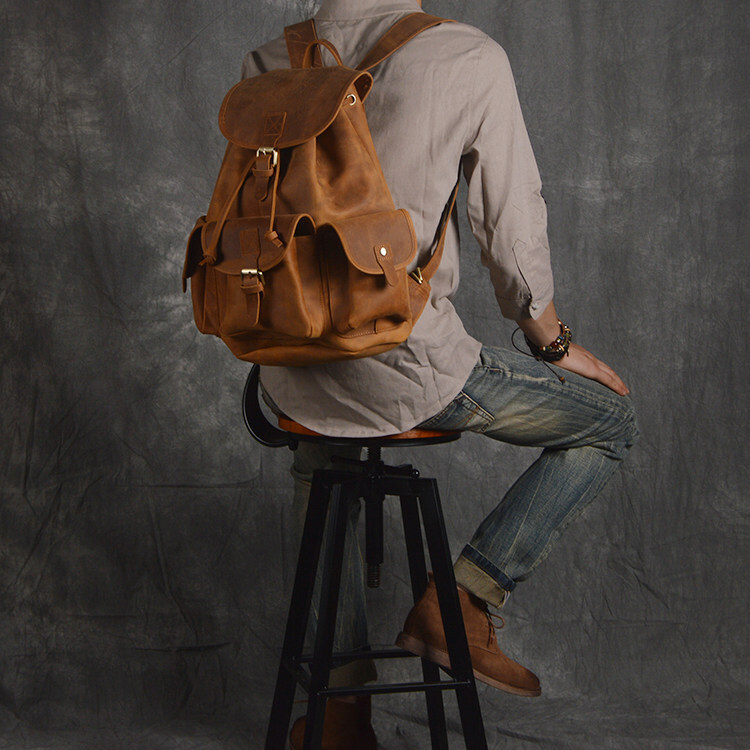 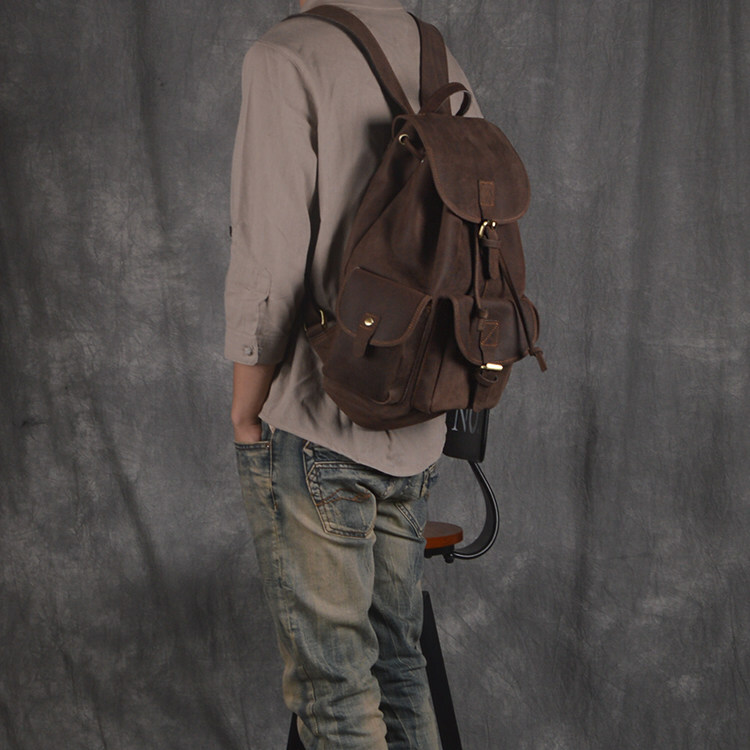 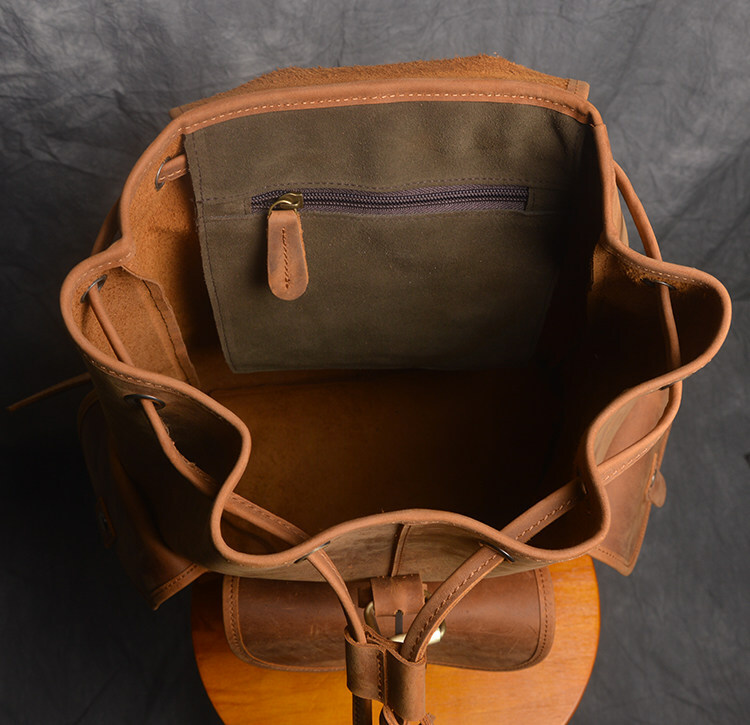 Length adjustable backpack shoulder straps. 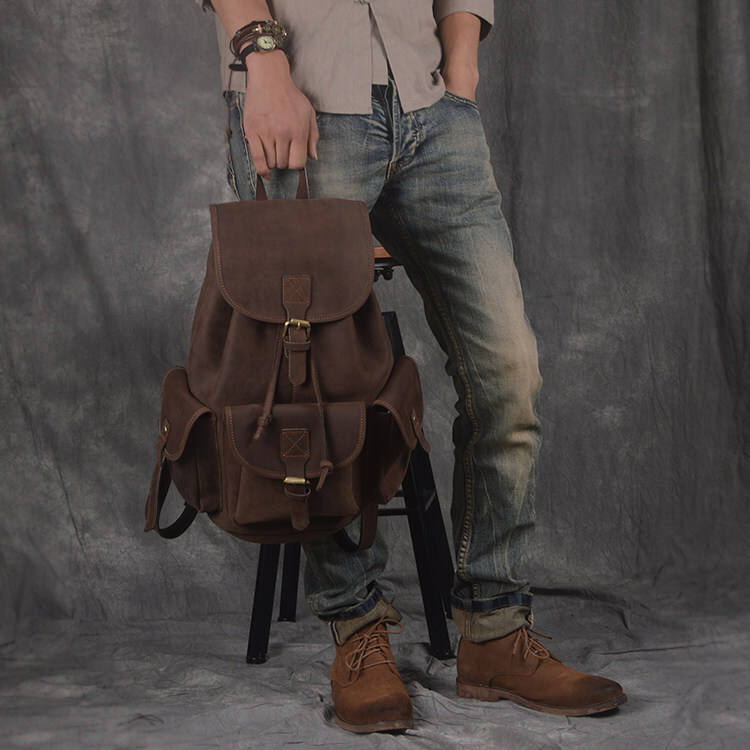 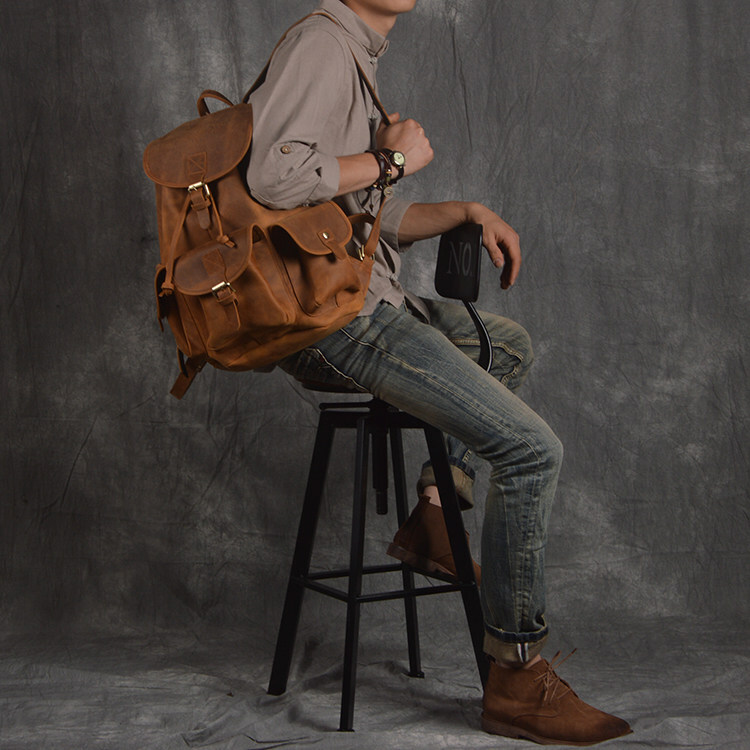 Good quality bovine leather and buffalo leather.